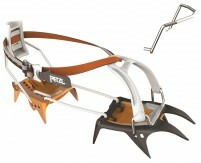 The Petzl Gully is the axe we’ve been wanting to see for a long time. 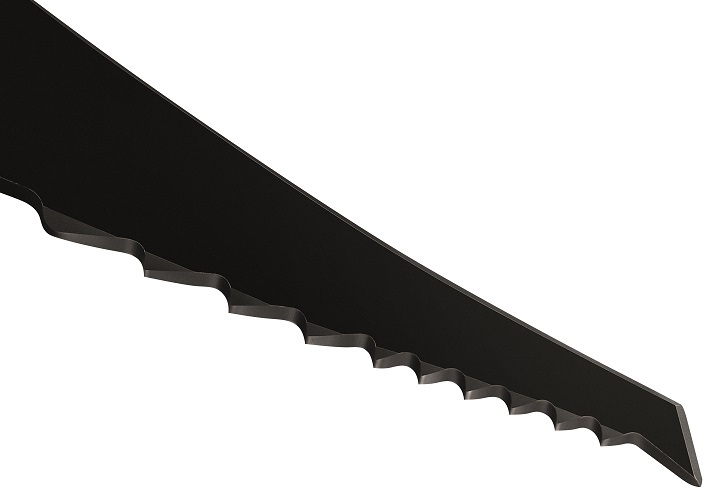 It blends the minimalism of a lightweight axe with the features of a larger, heavier, more technical axe that can be necessary for successful objective completion. Multiple head options allow you to select the correct tool for the job. 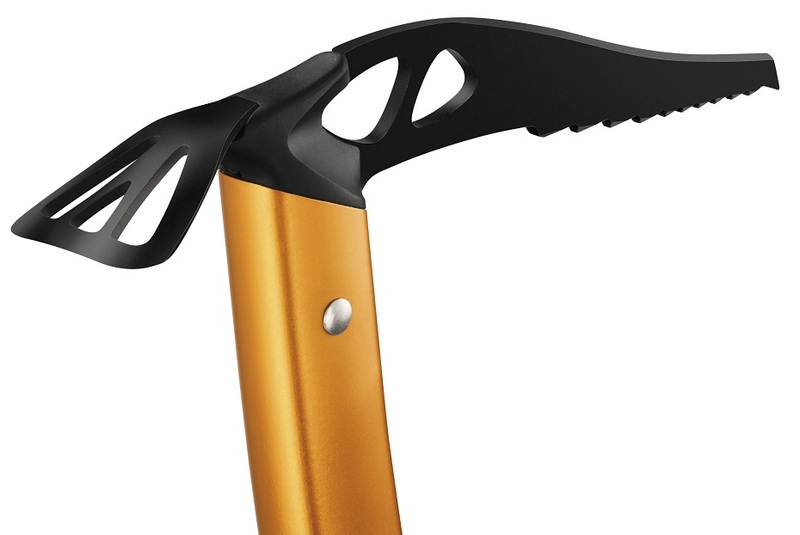 Take the hammer for more technical objectives or choose the adze for general mountaineering and expedition-style skiing. The steel pick has been shaped to increase clearance when you take a swing, but also to release easily while your heart rate is up allowing you to keep moving quickly. The teeth nearest the head have been cleverly removed so your gloves don’t slowly disintegrate while using it to plunge up a couloir. The hand rest is adjustable without tools to fine-tune your hand position, which affords some extra peace of mind when in terrain that could use some peace of mind. A plastic plug in the bottom of the shaft keeps snow from packing in and weighing down your flashy new gear, while the aluminum spike has been shaped to be as efficient as possible while plunging. Designed from the ground-up for technical ski mountaineering, the Gully is optimized for moving fast in the mountains. Sold individually. A featherweight competitor with the design of a heavy-weight hitter. Hand-rest features tool-less adjustment capabilities for increased versatility depending on the occasion. Partially toothless pick design increases the user-friendly nature. Plastic plug in the bottom of the shaft keeps real-world weight in the field to a minimum. Curved aluminum shaft with machined grip for increased self-arrest power and pick placement in steep or technical terrain. 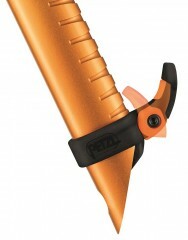 Compact enough to fit inside a pack which reduces chance of injury if you run out of cool points on the descent. Steel head increases durability for rock and hard ice. Hammer, adze, or both depending on your fancy. Light enough you might as well bring it. Materials Tempered steel head, 7075 aluminum handle. 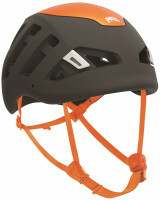 Bottom Line Purpose-built for technical mountaineering and steep skiing. This tool blows my mind! So dang light, yet very capable. One of my main touring partners likes to venture into the unknown which in the Wasatch can require the need to hammer in pitons for decent. My goal was the lightest snow tool option with a steel head for driving in pins. Bam! This is it. Legit. what is the difference between this and the Ride ax? Hey Peter! There's a bit more shape to the shaft of the Gully, the head is shaped a little bit differently and it's been beefed up as well, all with the intention of improving swing-ability.  On top of that there are the easily noticeable differences of the different head options and the included trigrest. The Ride is a bit better for plunging, adding stability to a down climb, and self arresting, all of which the Gully is more than capable of though. The Gully is more of an ultralight technical tool that's good for softer ice and neve. 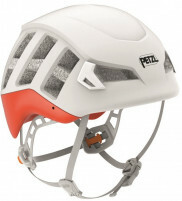 Perfect for ski mountaineering, carry two and climbing neve, and warm glacial ice is easy. 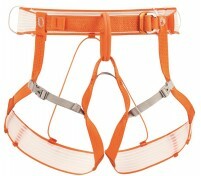 They are surprisingly capable for their weight in the vast majority mountaineering applications. I have seen these advertised as an ice climbing tool, they are not, even with the added pick weights these bounce off of water ice, the head ergonomics are simply not designed to penetrate cold ice. At 45cm and 289 grams these double nicely for trail running missions, light and short there is little to no swing weight. These have become my new favorite, I never pick up my old glacier axe anymore.